Hello inspiration! 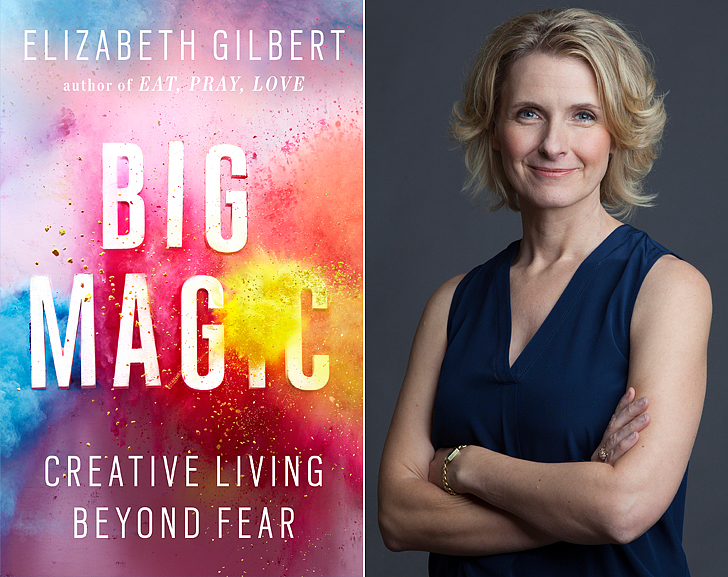 I am so filled with light right now after finishing Big Magic by Elizabeth Gilbert. This book is a must read for anyone who is doubting their purpose, their creativity and searching for their path in life. Gilbert writes about this massive word- CREATIVITY. What does that mean? Well in her eyes creativity is an all encompassing word that we all hold inside of us. Whether we are artists, writers, teachers, healers,the list goes on- we were all put on this earth to be creative in some way, shape or form. How we express this creativity is up to us. She encourages us not to feel afraid of our creativity, not to feel ashamed of our passion and not to hide what it is that lights us up. Whatever way we express our creativity we need not to forget the work that goes into that and Gilbert, through her personal journey, shares her wins and losses from her creativity- writing. I love the way the universe works. This little gem of a book called to me just when I needed it. As I think about what I want to do on my journey I needed a reminder to not forget what it is that is my creativity. Gilbert is calling us all out. Channel your energy to your creative source and shine! Thank you Elizabeth! *This book was sent to Bliss, Beauty and Books for review purposes.